Bristol Royal Infirmary commission – not quite! Sadly this is going to be one of those schemes that got away (just). But because we liked our initial concepts so much we thought we’d share it any case. 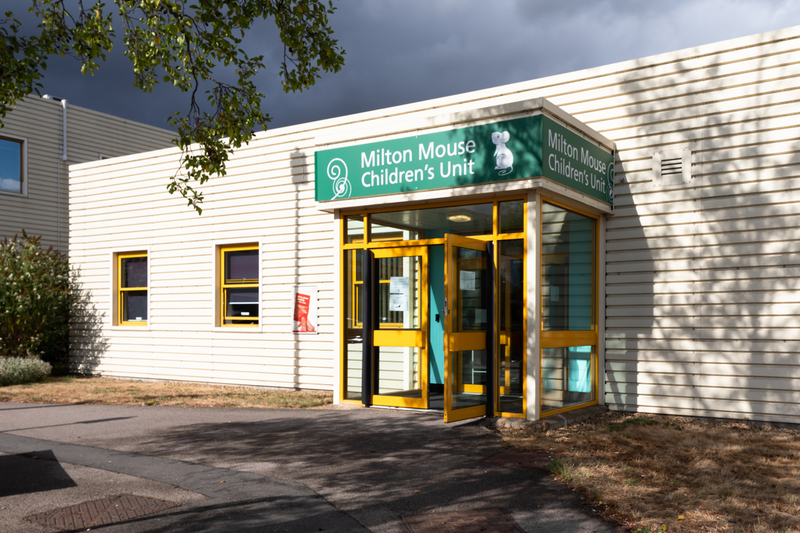 The scheme which is being managed by Willis Newson called for designs for the entrance to the paediatric wards as well as super graphics for the corridors. 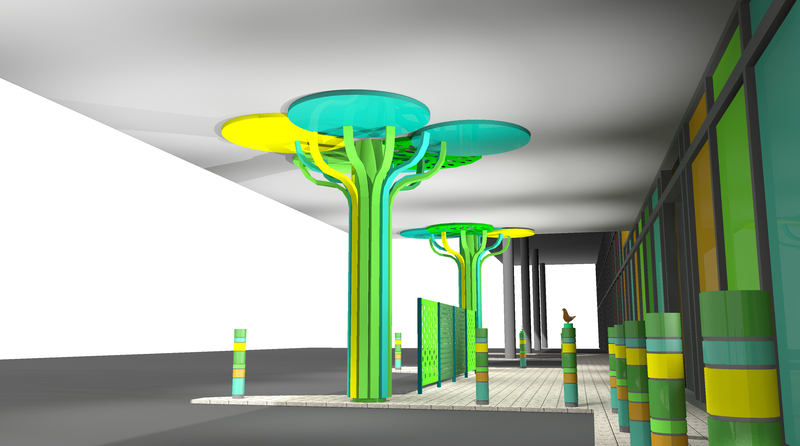 We proposed that the entrance which is compromised by unauthorised car parking and feeling somewhat ‘out of the way’ would be enhanced with a series of metal powder coated tree artworks that would wrap around and over-clad the existing rather banal concrete columns. 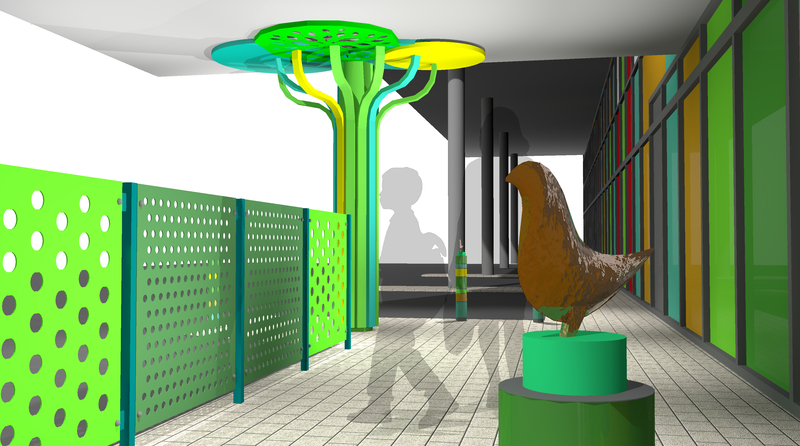 A woodland theme which linked to the outdoor trail would be emphasised with cast bronze birds on the new bollards to help prevent the inappropriate car parking. On entering the wards we proposed that the woodland theme would be extended as series of friezes depicting trees and leaves as well as various creatures to help animate the spaces and direct visitors through the (endless) corridors. 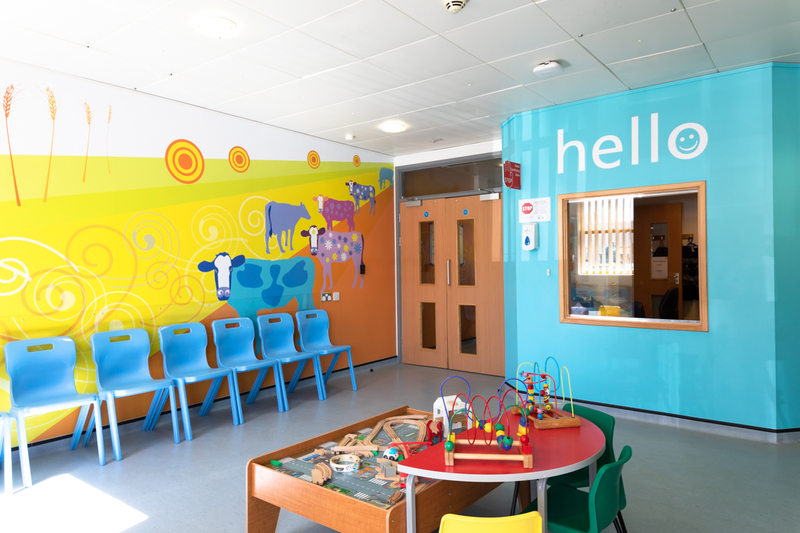 We were keen to explore how different materials could be used to transform the circulation areas and considered vinyl film as well as jet cutting substrates such as the wonderful 3Form resin sheets, formica and various hygienic wall cladding systems. If you’ve got a similar scheme and would like some advice then why not give us a call. 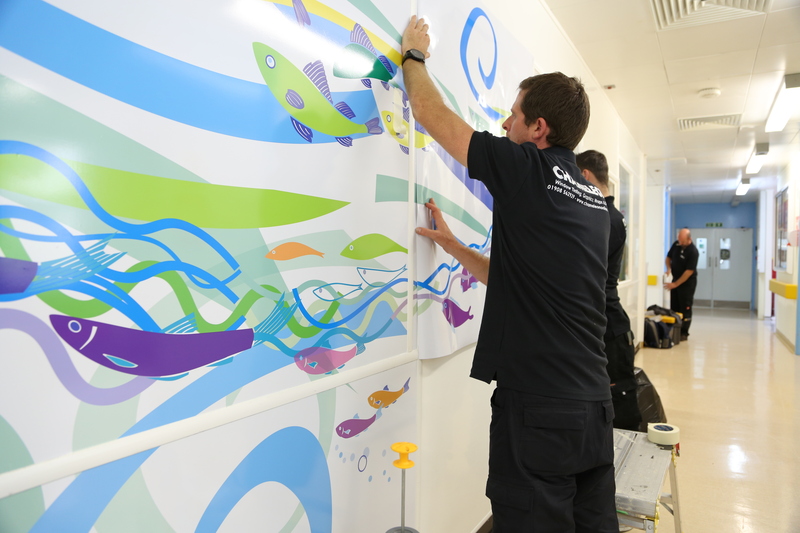 The Milton Keynes Children’s Ward super graphics were successfully installed today by our signage specialists Chameleon Co. 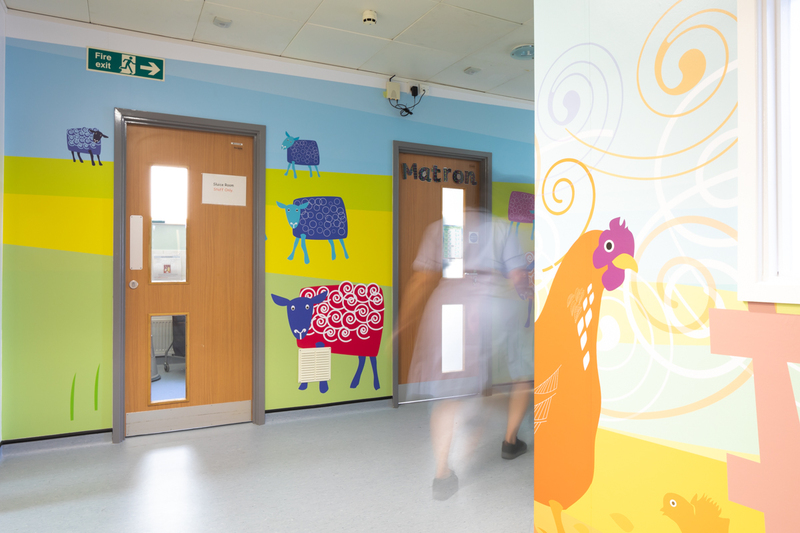 The designs were generated during a day of drawing workshops with young patients on the wards assisted by the ever enthusiastic MK Arts in Health team. 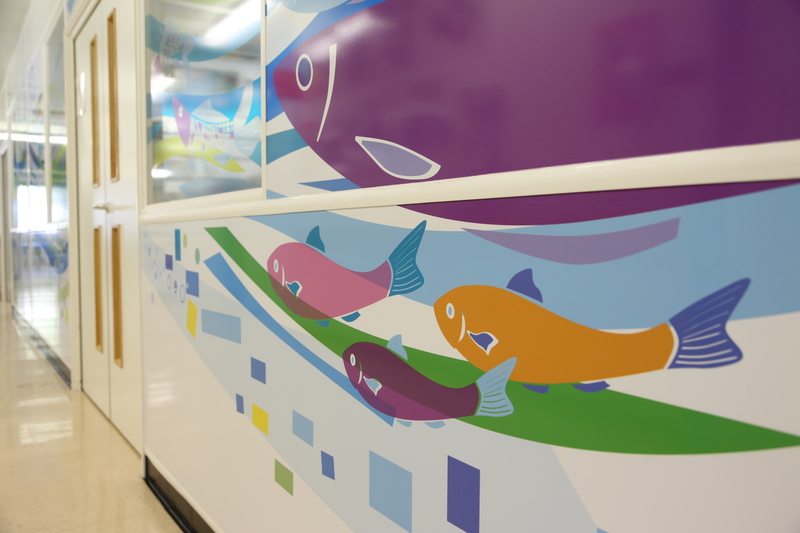 With an overall running length of 13 metres and a full wall height of 2.7m the design certainly makes a big impact when visitors first enter the ward. 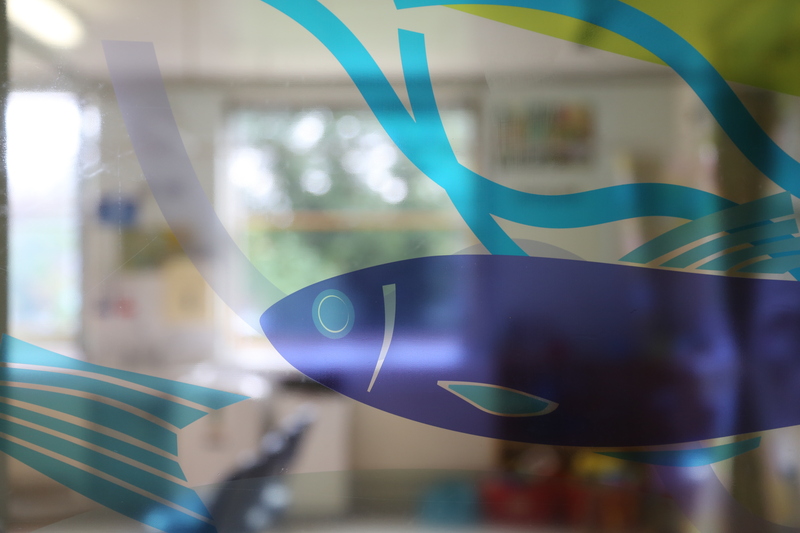 We used a mixture of full colour printed vinyls on the panel sections and optically clear vinyl on the glazed areas so as to allow good sight lines into the side wards. 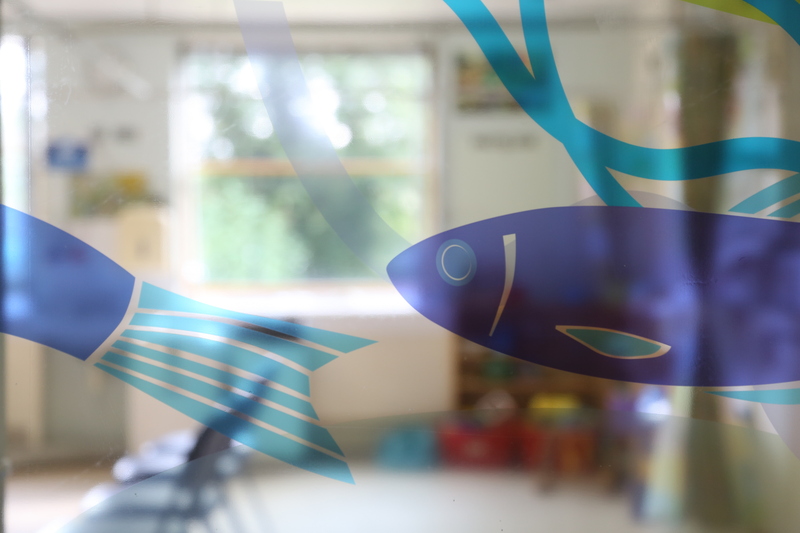 The fish stream design was used to create a dynamic flow through the ward and provide plenty of interest at different heights for toddlers and young people. The ward has children varying in age from under 5s to 17 year olds so it was important to find a theme that was age appropriate across the spectrum. 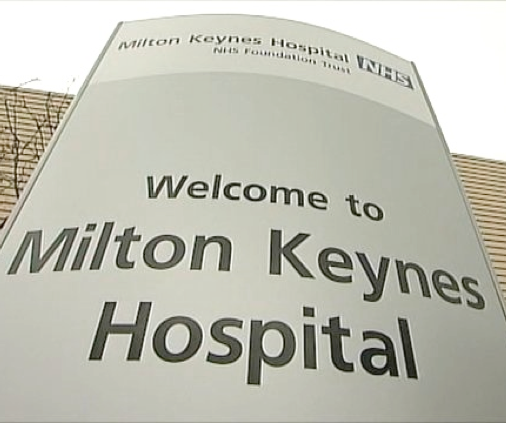 Milton Keynes has a multitude of popular gravel pit, lake and canal fishing spots so there’s a good chance that patients will recognise the fish swimming across their ward! 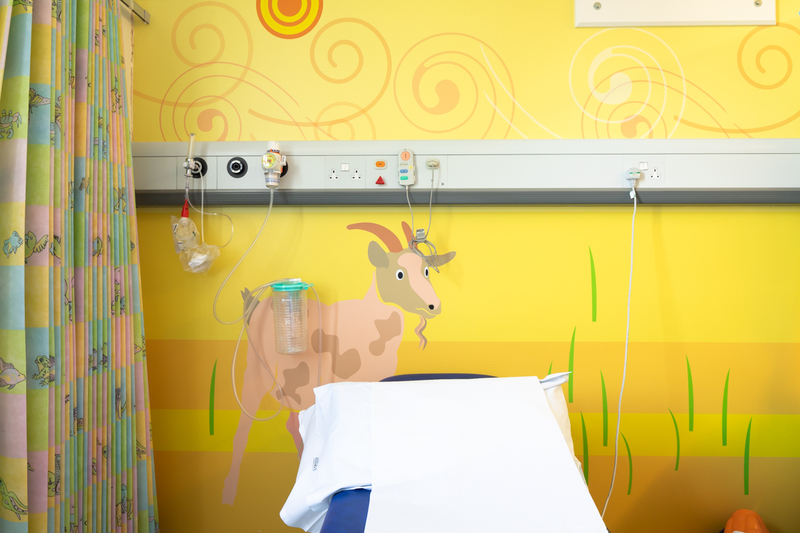 We’re going to be working with the Children’s Ward at Milton Keynes hospital to develop a permanent artwork on the ward. The commission is part of their exciting Arts For Health programme. 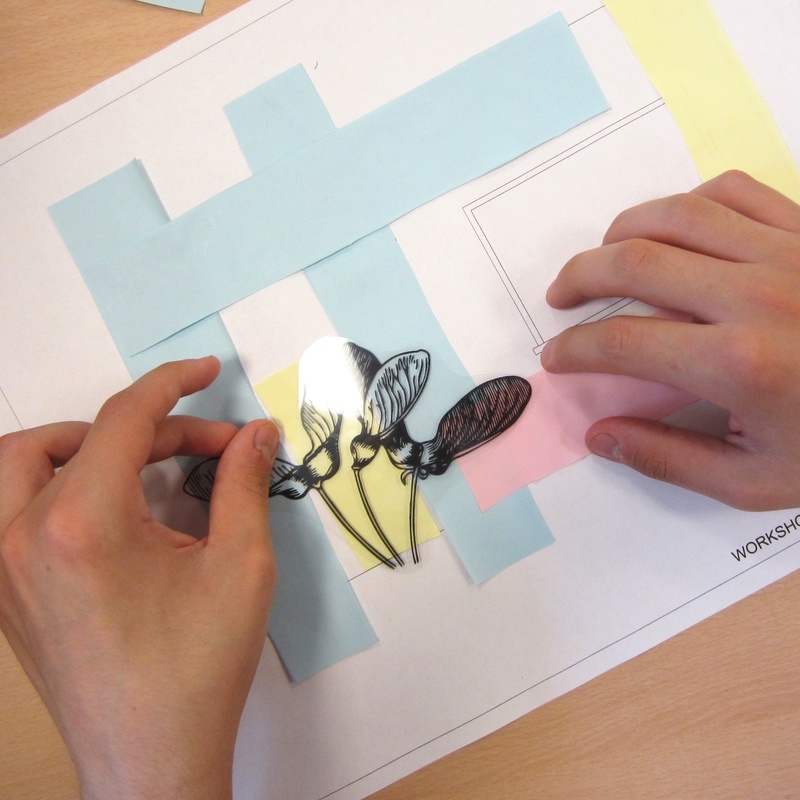 The programme uses arts and creativity to improve health and wellbeing. The programme grew out of the voluntary Hospital Arts Committee that had the vision to develop an art collection at the hospital. Hospitals are often very stressful places to be admitted to, to visit and to work in. Art in a hospital provides an opportunity to be distracted and this helps to improve patient outcomes. 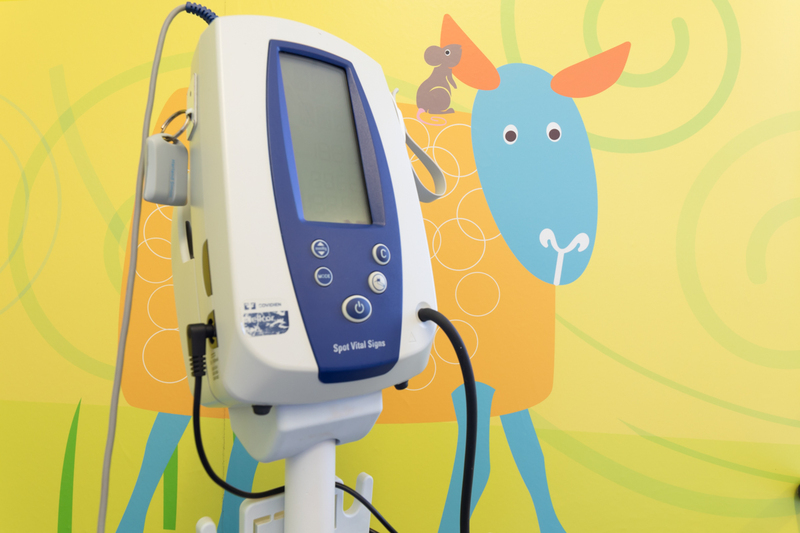 The collection at Milton Keynes Hospital currently has 390 artworks and Arts for Health manages the display of these as well as organising an annual programme of temporary exhibitions in the hospital.